You are here: Home / Comedy / Have you heard The Stand up Comedy of Anthony Griffith? Comedian Anthony Griffith has been entertaining audience with stand up comedy for over 25 years on club stages, on “The Tonight Show” and appearances in films like “Tales from the Hood” and “Charlie’s Angels: Full Throttle.” As Griffith himself once said, “I performed anywhere and everywhere, in the hopes of learning and mastering the craft.” Griffith demonstrates his ability to mine comedy and inspiration from the everyday experiences of a family man, without resorting to crude language or material. Over his long career, Griffith had managed to find laughter and the spirit to move forward, even during the darkest times in his life, as when he lost his young daughter to cancer or received the diagnosis of multiple sclerosis as he demonstrated in his performance at the well-respected “The Moth” story telling show. Anthony began his show business career in his native Chicago while still a college student, taking his stand-up comedy to cafes, restaurants, and hotels to develop his style. After an attention-getting appearance on Ed McMahon’s “Star Search,” Griffith’s career took off and has now included appearances on “The Tonight Show” with both Johnny Carson and Jay Leno, Comedy Central and HBO comedy shows. He has also appeared on notable TV shows like “Curb Your Enthusiasm,” “The Bernie Mac Show” and “Who’s The Boss,” as well as in films. Griffith can be seen with the “Apostles of Comedy,” performing alongside fellow comedians Jeff Allen, Brad Stine, and Ron Pearson. As well as in stand-up comedy clubs and other personal appearances. Anthony Griffith grew up in a rough Chicago neighborhood, inhabited by the kind of people who celebrated New Years by firing off gunshots. Thankfully for audiences everywhere, he managed to survive his childhood with the help of a grandmother who would not hesitate to shoot back. Since his early dreams of becoming an escape artist were dashed when his straight jacket was stolen, Anthony decided his new mission in life would be bringing as much laughter to the world as one man could manage. Anthony’s natural charm and infectious attitude, coupled with his experiences dealing with a broad range of quirky and memorable friends and relatives, accomplish this goal with room to spare. Anthony pulls no punches when it comes to his zany friends and family, but he does it with class and tact, finding welcoming audiences in venues ranging from concerts and comedy clubs to corporate gatherings and even churches. With comedians often pushing the envelope in their attempts to deliver edgy humor to get their laughs, you take a significant risk when you book them for a family-friendly event. Anthony Griffith provides by relying on his ability to connect with his audience through tales of his childhood, marriage, and family life. From his start on “Star Search” and “The Tonight Show with Johnny Carson” to frequent appearances on “Comedy Central”, “The Tonight Show with Jay Leno”, and HBO, Griffith’s brand of comedy has proven to be a crowd pleaser for more than two decades. Ever a student of his craft, Griffith maintains a busy schedule, currently performing at churches around the country as part of the “Apostles of Comedy” tour. 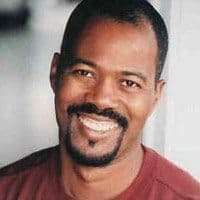 The talented performer has also appeared in movies and television, winning an Emmy for his role in the drama “Our Father”, and he has written and produced several stand-up comedy shorts. If you are looking to add a little fun to your corporate or community event, you will get much good, clean humor with a live performance from Anthony Griffith.